May is here and summer is just weeks away. My sleepy little town will suddenly burst with life and activity as summer homes are opened again, hotels fill and families come looking for a quiet vacation and a step back into a simpler time. Summer in South Haven, they were made for each other! Walking on the beach, sitting with my feet in the sand or looking for tiny treasures on the shore are some of my favorite activities. My soul is at home near the water and I'm so thankful to finally be here to enjoy it all summer long. And yep, that is my beach shown above. That is the popular South Beach that has the lighthouse and pier. 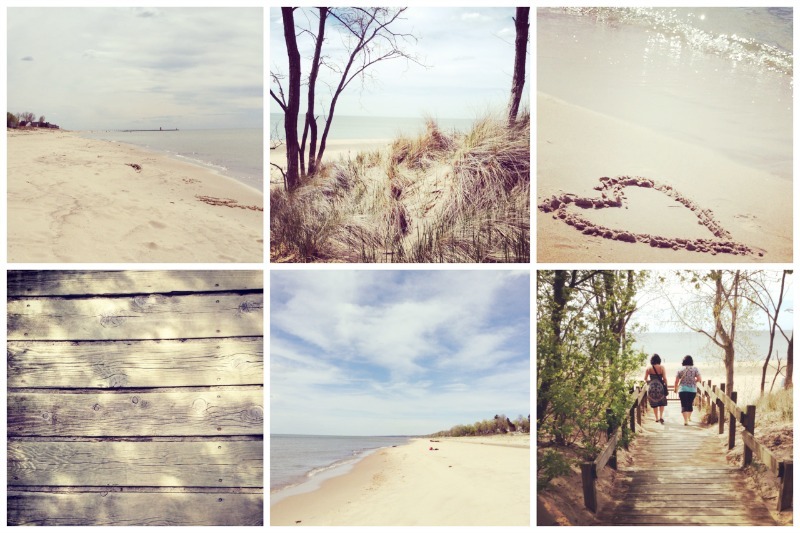 There are several beaches we plan to visit over the season up and down the lake shore. Some filled with happy childhood memories and others waiting to be discovered. Did you know Tom Hanks filmed the beach scenes from the Road to Perdition just minutes away from South Haven? It was quite a big deal back in the day. South Haven has had several brushes with Hollywood over the years. It also has infamous gangster ties with Al Capone himself having a summer home here, complete with secret beach tunnel getaway. You'd never guess anything happened around here, but every place has it's secrets doesn't it!